Engineering and building is in full swing for Boat Float! 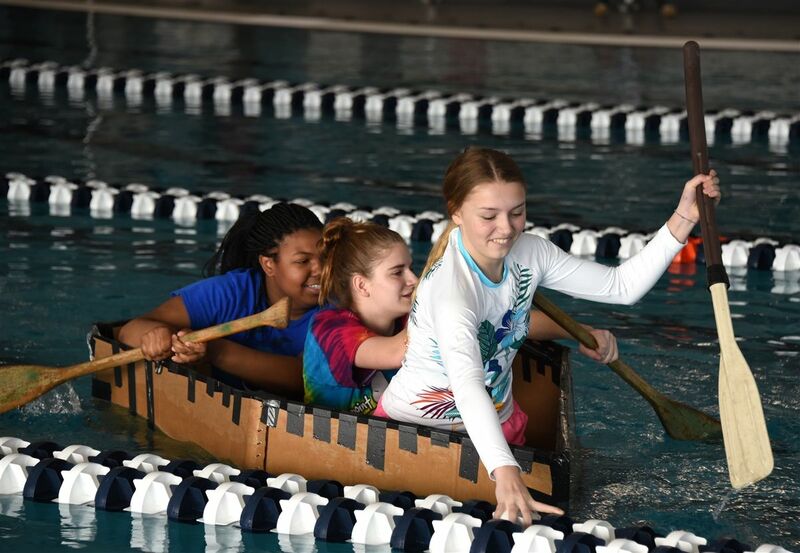 The eighth graders are using their knowledge and understanding of buoyancy, density and engineering design to construct a vessel made entirely of cardboard and duct tape in their quest for the fastest boat. Hope to see you there! 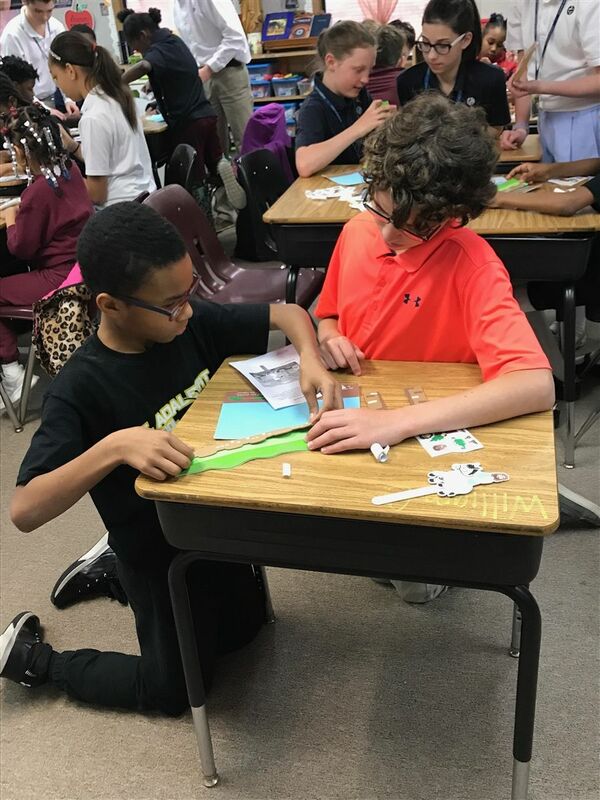 In connection with the seventh-grade service project "ministry to children," the class journeyed to St. Adalbert School to join their community for Mass and to engage in a Palm Sunday-inspired lesson and craft with their third graders. The day was one of fellowship, crossing borders and coming together as family. We won't forget our new friends and look forward to seeing them next school year. This week, students were given a Youth Volunteer Waiver. for our service activity at Second Harvest Food Bank in Nashville. Please make sure that those are signed and returned to Mrs. Massey by next Wednesday, April 17. Congratulations to the Middle School Bridge Builder of the Week Jackson Nolan '24. He demonstrated significant “passion to succeed” in his studies, which embodies the Holy Cross charism of zeal.